William Garrett Walden, better known as W. G. Snuffy Walden (born February 13, 1950) is an American musician and composer, best known for his film and television soundtracks. He has been nominated for numerous Emmy Awards throughout his career, and has received 26 BMI Awards. Throughout the 1990s, Walden scored numerous television shows and series, including Roseanne, Ellen, My So-Called Life, Felicity, Early Edition, Sports Night, The West Wing, George Lopez, I'll Fly Away, The Stand, Huff, Once and Again, Friday Night Lights, and Studio 60 on the Sunset Strip. Huff is an American television dramedy series produced by Sony Pictures Television for Showtime. 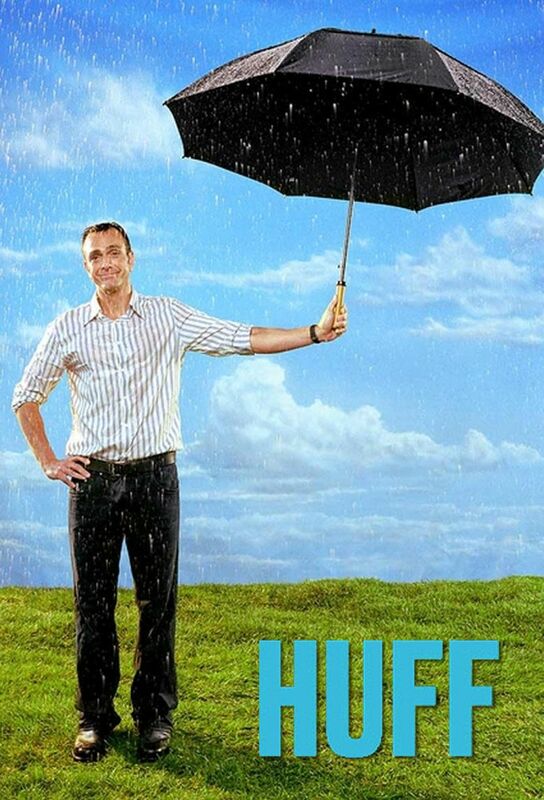 The series was created by Bob Lowry and features Hank Azaria as Dr. Craig "Huff" Huffstodt, a psychiatrist whose life changes abruptly when a 15-year-old client commits suicide in his office. 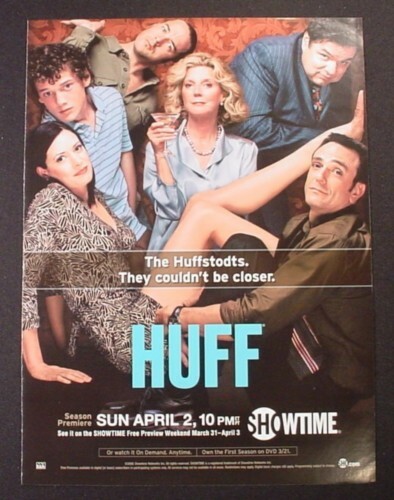 The series follows Huff, his family, and his friend Russell Tupper, played by Oliver Platt, as they navigate life. The first season was broadcast on Showtime between November 7, 2004 and January 30, 2005. The second season premiered on April 2, 2006 and ended on June 25, 2006. 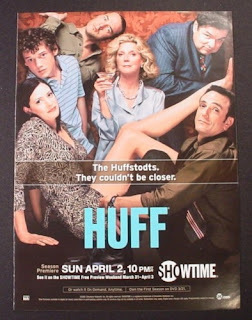 Two days before the finale, Showtime announced that the show would not be picked up for a third season, and several plotlines, including the resolution of pending criminal charges against Russell Tupper and the possibility of reconciliation between Huff and Beth were left unresolved. Interesting series; too bad it was cut short. Once again, the series' theme music as shown in this opening sequence was great; an excellent piece of music unto itself but even better in how it captured the flavour of the show.